We are proud to offer an informative approach to fume hood safety when considering fume hoods for your laboratory design and planning. If you have any questions about what steps to take in regard to your fume hood or other lab furniture, then please reach out to us! 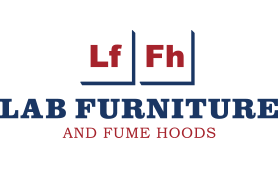 At LFFH we are excited to bring stylish and durable cabinets to you. Check out our video and learn more about what the different types of cabinets we offer! If you have any questions about cabinets or any other lab furniture, then please contact us!